Where is God when my hope is lost? Where is God when evil seems to be winning? Where is God when my world is crashing down? Where is God when I need Him more than ever? Why does He feel so distant? Lately God has felt more distant than He ever has. I’ve tried to seek Him and spend time with Him, but it seems like the time I’ve been spending has left me feeling empty and alone. I’ve tried to stand up for God and go to the scary places I would have never dared to go, but sometimes I feel like I’m doing it alone. I become fearful that maybe I truly doing it alone. Is God with me when I need to be brave and stand up for my beliefs? Is He there when I’m too worn out to wake up another day and push through? Seems like every day is becoming a struggle to remain courageous and stand fast to God’s Word. It’s becoming harder and harder to live like Christ in a world that is trying to erase Him out of existence. I find it difficult to remain strong and rooted in Him when I look around and can’t seem to notice any sign of Him here. Where is God in the midst of all this? Let me share 4 reminders that I have tried to remind myself when God feels ever so distant. This world grips tightly onto my heart. It often feels like it is sucking all that is good within me and leaves me with emptiness and anger. I’ve grown weary in trying to live an upright life in such a backwards world. Lately I have grown ever so weary in living for God and being strong when my heart is so weak. When God feels distant I lose hope that He is working through my situations. I feel like the aching prayers of needed guidance from Him are sitting in an endless list, waiting to be answered. I grow weary day after day with no change. No hope. No end to the pain that weighs down my beaten heart. Every day it feels like the same problems exist and grow into deeper pain that just won’t seem to let loose of my aching heart. I’ve cried out, begging for something to change. Anything. Anything, but what my life currently consists of. I’ve pleaded for direction and wisdom, asking Him to lead me in the direction He deems best. When I’ve struggled in thinking God felt more distant than ever, I’ve found it difficult to turn to Him for help. I’ve desired to cry about it, talk about it and complain about it, rather than seeking God first. Then when everything came crashing down and I felt in a desperate place I was backed into a corner with no way out. It was then when I knew God was intentionally not solving my problems, leaving me with Him as my only option to turn to. Through the darkness, when there was no other option but to turn to God, I have found His Word, and promises, to be a source of nearness to Him that couldn’t be achieved in any other way. His Word is our source for strength when we are growing ever so weary in the fight. We can engrave His promises on our hearts so we can carry them with us even to the scariest places of darkness. We don’t need to fear evil, because God is with us. Nothing can separate us from God’s love for us. God will never forsake us. This world is not our home, we don’t belong here. God blesses the pure in heart. In the end, Satan is defeated. Nothing goes unnoticed by God. In this world we will have tribulation, but God has overcome the world. God is with us, no matter how dark the situation. God always provides for all our needs. I have to admit, when dealing with hard circumstances in my life, I have struggled finding the strength to go to God in prayer. When my circumstances never seem to change for the better, I’ve grown weary in handing them over to God one more time. It seems like I’ve prayed about the same heartaches endlessly and they aren’t being heard anymore. God feels the most distant when I’ve poured out my messy heart, hoping that He will somehow turn it into something worthwhile, but instead, I’m left with silence. It gets discouraging giving the valuable desires and hopes on my heart, knowing He is capable of the impossible, but I’m left with unchanging circumstances. Sometimes I crave for an instant fix to the enduring issues. I want to wake up to find my struggles have been eliminated and my desires have been fulfilled. Even amidst the pain in waiting for prayers to be answered how I’d like, I have to remember that God does hear every prayer. He knows the ache on our hearts. He is working through the pain. He is providing all we need in order to achieve His plan. Maybe by Him not answering my pleads for change to my difficult situations, these deep valleys of pain are opportunities for me to strengthen my character and rely on God for provision? Maybe it’s granting me the ability to see that if God does change my circumstances, I will know for certain it was all because of Him? No matter the reasoning for me feeling as though God is distant, I can find assurance knowing that God is with me, listening to my broken heart crying out to Him with my pleas. He desires us to go to Him. It doesn’t matter the perfection of the prayer. He just longs for us to rely on Him with our problems. And can I say that in the times of desperation and the deep pain, I have seen Him come through and perform His greatest miracles in me. All of which I may not have ever recognized if I didn’t go to him in prayer. I encourage you to take a moment, take a step back and look over your life. Look at where you started and where you are now. Scroll through the seasons of your life. The tragedies. The good days. The darkest of valleys. The deep heartaches and the moments that brought your heart exceeding joy. Through every circumstance, happy and sorrowful, God was there working behind the scenes leading the way. He’s the One that led you to where you are sitting now. I quickly forget all the way God has provided for me over the course of my life. Things He protected me from. Areas He provided in abundant blessings. Grace He bestowed upon me. Love He has filled my heart with. And through it all, especially the times of immense pain, I have come out of those dark seasons finding God’s greatest blessings and provision. How quickly I forget that. The trying times of deepest pain are God’s opportunities for me to discover a more intimate side of God than I ever could with the bright sunny days. When He feels distant, it’s not Him intentionally ignoring my longing for help. It’s Him walking before me and watching me as I grow and learn to follow after Him. I never was alone. I never will be. Take a moment and remember all that God has blessed you with. All He has protected you from. It may require some digging, but there is always a sign of God’s fingerprints in your life. This item is the very hardest for me to consistently remember. How I forget who my enemy is. 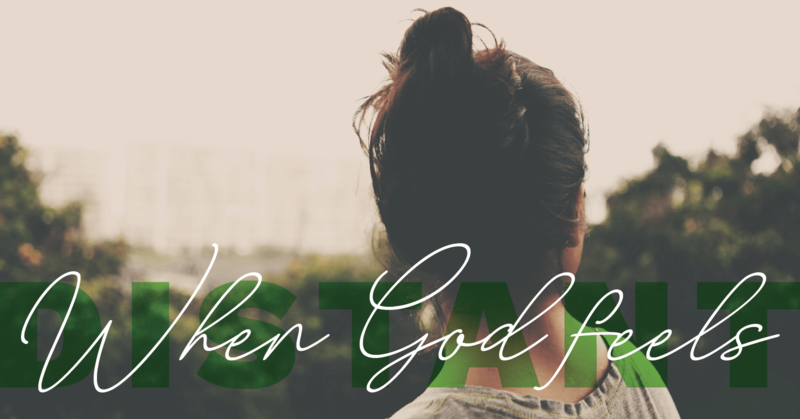 When terrible things occur, I look to God and ask “Why?” I know He is in control of all things and has the ability to change my circumstances instantaneously, and I immediately assume that He wants to hurt me. It’s easy to become blinded and forget that Satan is God’s enemy. Satan will do anything to get us to fall. He will twist the truth so deceptively that we become lured into his trap of lies, turning us away from God. Right where Satan wants us. We often lose sight that Satan is using the people and everyday items in our day to trip us up. He wants us so caught up on all that’s wrong in our lives that we fail to remember Who is working behind it all, creating a masterpiece through our lives. If only we could take the time to remember where Satan’s destiny lies. He will be thrown into the Lake of Fire, and God will eternally reign. Satan wants you to feel like God is distant. He wants you to feel alone, desiring your potential to be impacted by the lies that God is forsaking you. He wants you to focus so much on feelings that you forget the promises that God has inscribed upon His Word. Don’t let Satan win. His primary goal is to tear you down. Don’t let him succeed. Remember who your enemy is. It’s not God, but rather the one filling your mind with lies and deceiving you into discouragement. When God feels distant and you feel hopeless, remember God’s everlasting promises. Cling onto them and let them be your stronghold. When you feel like God is ignoring you, keep praying, He is always listening to you. He desires to hear you. When you think you’re missing important pieces to fulfill your life, remember God always provides what you need, in His perfect timing. When your problems feel like they are attacking you, remember who your true enemy is. Don’t let him win. No matter how our feelings convince us into thinking God is distant, rest assured that God is never far away. He’s right beside you through all life throws at you, rooting for you all the way. He’s on your side. Nothing touches your life that first hasn’t gone through His hands. Whatever circumstances you are currently enduring right now are being used to strengthen and prepare you for the amazing plan God has in store. All of which couldn’t be accomplished if you didn’t experience hardships in your life, pulling you closer to Him. Use this time right now to remind yourself that God is near. He is present and working through every moment of your life. One day you’ll be able to look back over your life and be amazed seeing the incredible ways He was using the most difficult of times for something incredibly more amazing than we could ever imagine.